The Madhya Pradesh Professional Examination Board (MPPEB) has conducts the Patwari examination from 19th to 30th December 2017. Candidates applied for the MPPEB Patwari Posts 2017 have appeared for the tests in given dates. The competitors will be shortlisted on the basis of merit in written test and interview rounds. 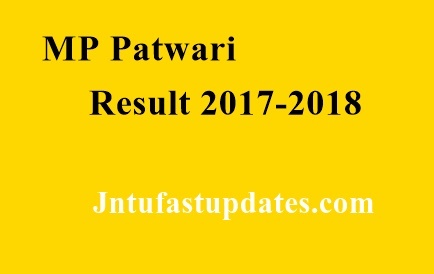 Candidates waiting for MP Patwari results can check this article for more information regarding the MP Patwari Results, Cutoff Marks, and Merit List 2017. The Madhya Pradesh Professional Examination Board (MPPEB) is also known as MP Vyapam annually releases various notifications for employing the suitable candidates into Government jobs. The MPPEB has recently notified for 9181 Patwari posts for various Government organizations across the Madhya Pradesh state. Many of the interested candidates have applied for the MP Patwari vacancies 2017. The MPPEB has accepted applications since 11th November 2017. As per reports, a large number of candidates have applied for the MP Patwari posts 2017. All the candidates applied for Patwari posts have appeared for the screening test from 19th to 30th December. Candidates those have appeared for the Patwari examination can check the MP Patwari Cutoff marks 2017 at the time of result announcement. Candidates scoring the minimum cutoff marks are said to be qualified in the test. Candidates those have cleared the examination will be sent for the interview round. The Madhya Pradesh Vyapam will announce the MP Patwari Merit list 2017 with the names of candidates cleared the examination. Competitors have to wait till the MPPEB announces the result, cutoff marks and merit list. The MPPEB likely to release the MP Patwari results, Cutoff Marks, and merit List 2017 within 3-4 weeks after the completion of the examination. Hence candidates can wait until the organization reveals the exact date. Visit the MPPEB Official website, vyapam.nic.in to check the latest updates from the board. Sir, mere at category handicapped 55 marks aaye koi chance hai? Sir mere no 49 aye hai.kya you chance hai.